It’s so cold outside! We are having some really cold weather here in DC. I have resisted the urge to have some creamy hot chocolate, but yesterday I gave in. I had no milk, but I had almond milk. I made my favorite hot chocolate with almond milk instead. Honestly, I can say that there was no noticeable difference in texture or flavor. 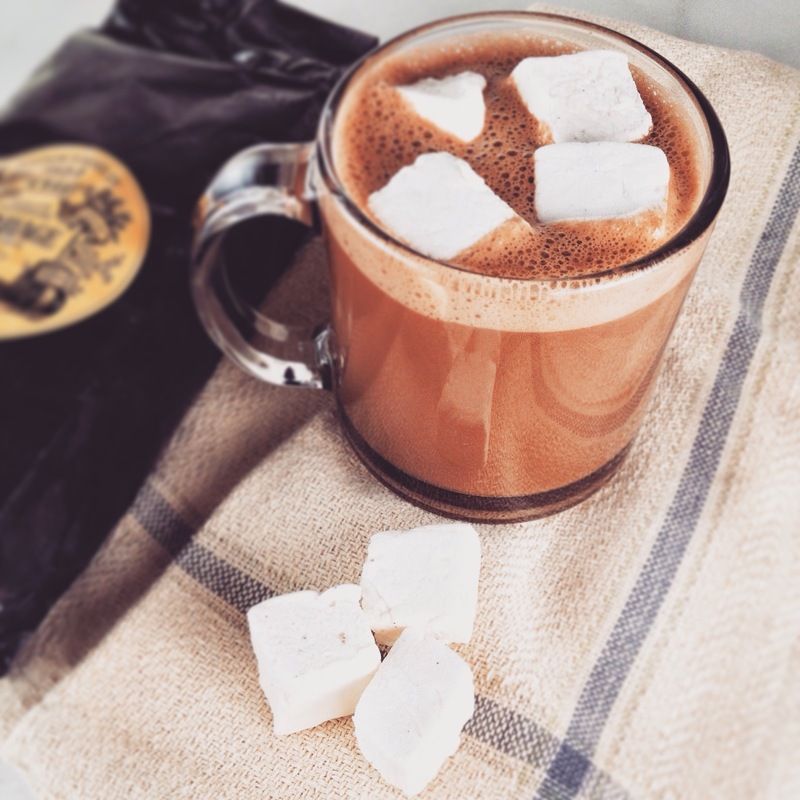 This hot chocolate is flavored with Earl Gray tea. The tea gives it more depth of flavor, and scent of bergamot. I can’t think of a more comforting way to warm up at home. In a small pot combine the almond milk, star anise, and cinnamon stick. Scrape the seeds from the vanilla bean pod and add them to the milk along with the pod. Bring to a simmer over low heat. Once the milk barely starts to simmer, add the tea and turn off the heat. Let steep for 3 minutes. Remove the tea bags. Add in the chocolate. Turn on the heat to low and mix well with a whisk. Once the chocolate has melted, taste and add agave syrup if desired. Strain the hot chocolate into a large bowl. Before pouring it into mugs, whisk vigorously to create some froth. Serve and top with mini marshmallows.